In my years of reviewing gadgets, there isn’t much I haven’t tested and reviewed. Dashcams have been on my radar, but until recently, I hadn’t had the opportunity to try one myself. The 70mai Pro has one of the better dashcam designs I’ve seen. The body of the camera is wedge-shaped with the rotating lens hanging off the left side. Xiaomi includes two clear plastic stickers that you use between your windshield and the mounting plate. I guess it’s easier to remove the clear plastic sticker from your windshield. I took another path and stuck the mount directly to my toll tag, which is mounted dead center behind my rearview mirror. The dashcam is completely hidden behind my mirror from my position in the driver’s seat. 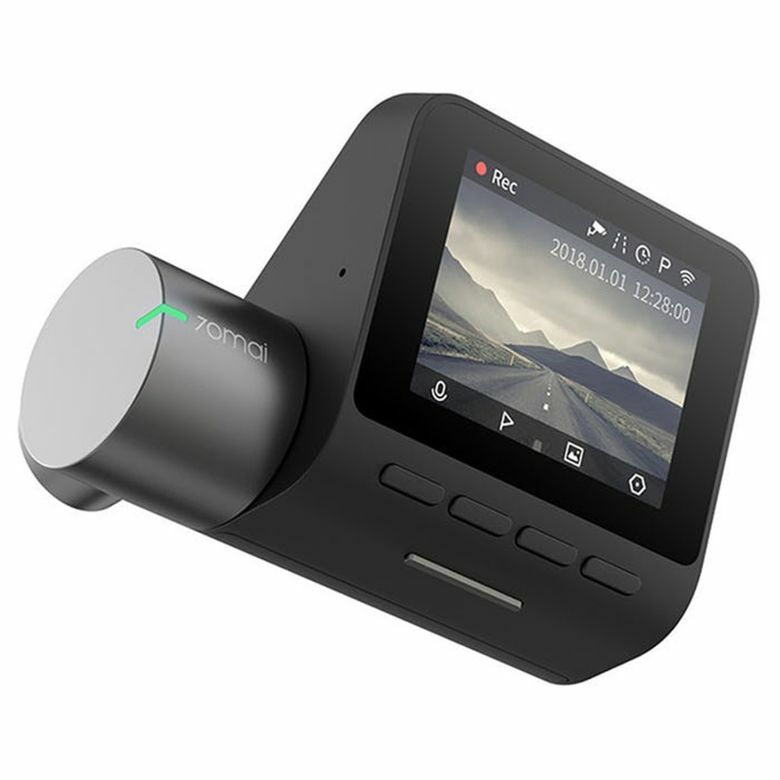 The 70mai Dashcam Pro does its main job very well — it captures video when you’re driving. In fact, it captures videos in one-minute increments. Each minute of driving is captured as a separate video file. The camera is powered by a three-meter microUSB cable that’s long enough to run around the edge of your windshield to an included 12-volt power supply that plugs into your car’s accessory plug. The camera also has a 500 milliamp-hour battery that lets it operate in a low-power mode when the car is not running. It has sensors that will wake up and record a short clip if it senses your car has been bumped while it’s parked. If that happens while you’re out of the car, you’ll get a voice message telling you that a parking event was recorded for your examination. A de-fog algorithm can help reduce distortion while driving through snow, smoke or haze. I didn’t have an opportunity to see this in action. There is an optional GPS module that replaces the camera’s mount. The GPS mount enables a feature called Advanced Driver Assistance System, which gives real-time alerts when your car is leaving its lane or about to hit the vehicle in ahead. My review camera didn’t come with the GPS module, so I couldn’t test those features. It records video in H. 264 or H. 265 format, depending on the resolution. The camera creates its own Wi-Fi network to make a wireless connection to your Android or iOS smartphone so you can see and download the videos and photos. The videos can also be downloaded from the microSD card if you have a memory card reader. The 70mai Dashcam Pro is easy to set up and use. As soon as you insert the memory card and plug it in, the recording starts whenever the car is running, and you don’t have to worry about it. If you need to review the video, just unplug the camera, slide it out of the mount and pop out the memory card (or enable the camera’s Wi-Fi for a wireless connection). The video is clear and it’s easy to find individual moments. The best gadgets are the kind you can set up and just forget. A dashcam isn’t something you’ll interact with daily (I hope), but you’ll be glad to have it when you need it.